We closed out 2018 on a high note! 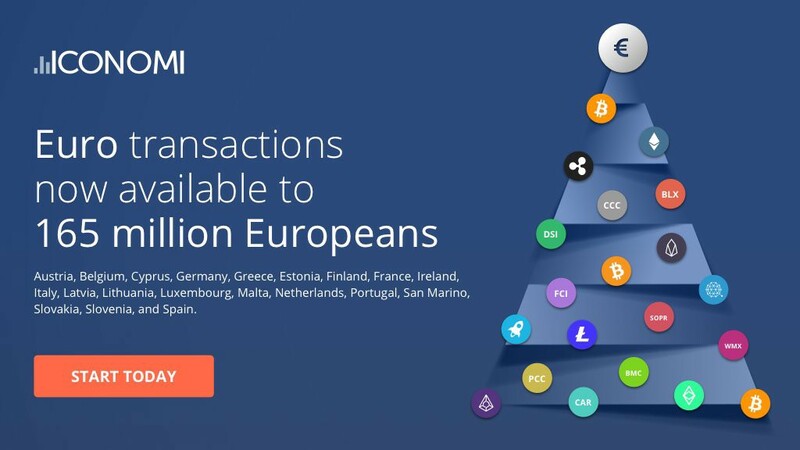 After opening euro transactions in November, we now offer direct purchase of cryptocurrencies and Digital Portfolios to 165 million Europeans. 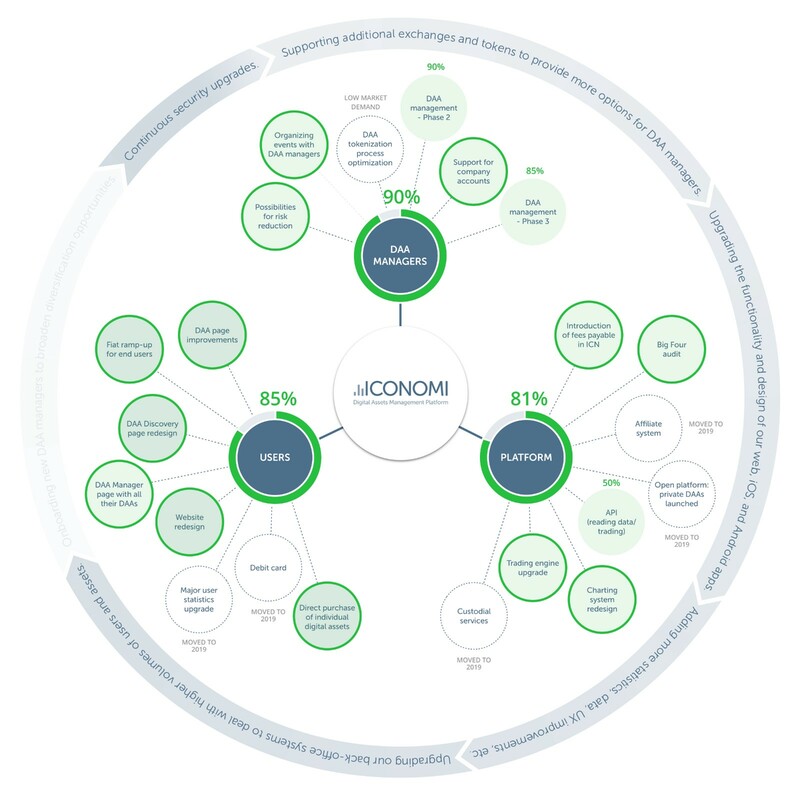 We also published an overview of ICONOMI in 2018, celebrated the anniversary of BLX, the first Digital Portfolio, and more. Deposit Euros From Anywhere in the Eurozone! Euro transactions are now available for users from anywhere in the eurozone, encompassing 165 million potential users. On December 24, we published 2018 in Review, an overview of what we achieved in 2018. Highlights included the release of euro transactions enabling users to buy into Digital Portfolios and individual cryptocurrencies directly with euros, a proof of solvency conducted by a Big Four professional services firm, the first stages of the eICN security token, and much more. On December 26, we celebrated the second anniversary of BLX, the first Digital Portfolio offered on the ICONOMI platform. On December 7, we published the third edition (read Part I and Part II) of our eICN frequently asked questions series. 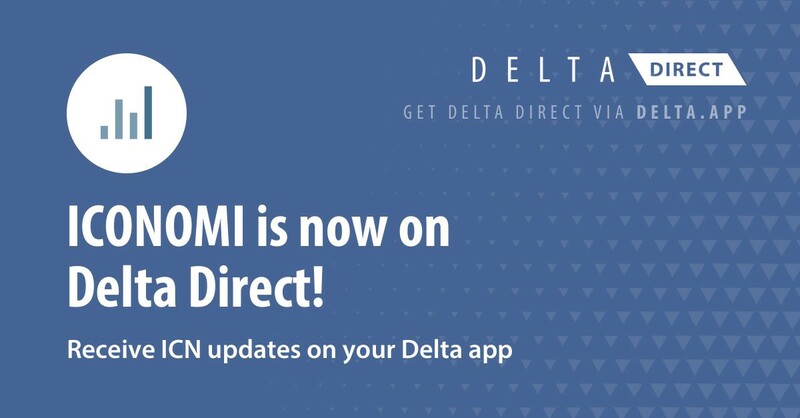 In addition to Blockfolio’s Signal program, ICONOMI is now a member of Delta Direct on the Delta portfolio tracker app. Just add ICN to receive updates directly to your phone. Crypto: Time to Mourn or Time to Celebrate? ICONOMI Expert Mihail Semertzidis shared his thoughts on managing one of the top-performing Digital Portfolios of the past month, Bluechip Macro Crypto (BMC). East Chain Open Hub (ECOH) is an annual two-day conference focused on exploring the cryptocurrency space. This year, the goal is to educate as well as inspire people to become part of this emerging technology’s ecosystem. We are happy to announce that ICONOMI cofounder Jani Valjavec will be speaking at the conference, which will take place in Kuwait from January 30–31 .